Specialist Porsche Car Insurance. 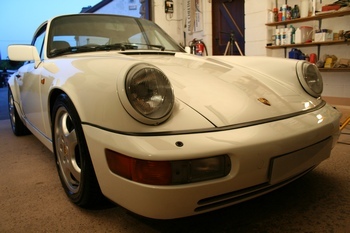 Get a Competitive UK Porsche Car insurance Quote from AIB Classic Car Insurance Today. AIB Classic are a leading UK car insurance intermediary who offer competitive car insurance quotes. Get a quote now! As a result of this finding cheap 911 car insurance can be extremely difficult. However 911uk.com have done all the hard work for you and have teamed up with AIB Classic Insurance the Porsche Insurance specialist. AIB Classic insurance will do the shopping around and compare a range of quotes through their specialist network to find the best price for your insurance. One main advantage of using AIB Classic Insurance is that they have specialist insurers on their panels that offer exclusive benefits and because they are accustomed to dealing the needs of high performance cars they may be able to offer special policy benefits and cheaper quotes. 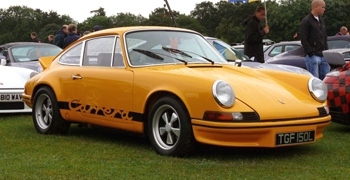 Which insurance companies cover premium classic cars such as Porsche? Ruby Insurance – Offers discounts if you are a member of a classic car club; considers all vehicle modifications; offers discounts for limited mileage. Coverage for club events, track days and day-to-day usage. Compares more than 450 policies from 30 of the UK’s best known classic car insurance companies for premium classic car quotes. AIB Classic Insurance – Insurance for sports and performance classic cars including Lotus’, Aston Martins, Ferraris and Porsches. How to reduce the premiums for your Porsche? Driving Classic carefully – Sounds like an obvious tactic, however by building up 5 years no claims bonus can earn you a discount of as much as 70%. Also speeding and other road offences can lead to points on your licence which can load your premium and in certain cases may lead to insurance companies even refusing insurance due to the high insurance grouping of the Porsche 911. How you use your classic car – Most classic car insurance policies will offer a “social, domestic and pleasure” use with an option to include one place of commuting. There is also “Business use” which generally refers to travelling on your company’s behalf – such as to meetings etc. Be sure to clarify with your insurer exactly what you use your vehicle for and don’t pay for more than you need to. Mileage Limit – If you use your Porsche solely on the weekends as a fun classic car then make sure you limit your mileage to a sensible figure. Insurance companies will take the view of the lesser miles you do each year the smaller the chance of being involved in an accident, hence a lower premium. Security Enhancements – Your Porsche may come with an immobilizer as standard, but adding extra features such as wheel locks, and parking your classic car in a locked garage at night will slash your premiums. Best thing to do is ask your insurance company which security features they recommend and which ones they offer discounts for. Pay annually – Spreading the cost of classic car insurance may seem like a good idea but interest charges can add as much as 20% to a premium so if you can afford it, it is best to pay upfront. Increase your voluntary excess – The excess refers to the amount you pay in the event of a claim. The higher you set this, the lower your premium will be, however be classic careful not to go overboard, set it to a level you can comfortably afford. The fastest way to save is to shop for classic car insurance online as most companies offer their best deals through the Internet – you can compare quotes to save time and money. What is a laid-up classic car insurance policy? Sometimes it is necessary to take a classic car off the road for a period of time. This is particularly true of classic classic cars, where major restoration work may be needed. At this time, there would be little point in arranging a full classic car insurance policy, but some risks still remain. The classic car could still be stolen or damaged by theft or attempted theft, and it could still suffer from fire damage. For these reasons some classic car insurance companies provide laid-up cover. Provided the classic car is garaged, the company will give a classic car insurance quote based on the value of the vehicle, and will provide cover as described. Your motor insurance certificate is often a "shortened" one-page document and is normally accompanied by your insurance policy document (which can often run to many tens of pages). You must study your policy, as this is the document that forms the basis of the contract between you and the Insurance Company. There are many different types of policy wordings/rules (for example, your policy may not cover drivers of your classic car who are under 25 years old) so make sure that you read it and that you have asked about the policy conditions at the time you take it out. 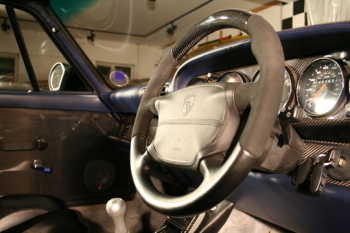 There is a certain element of class and prestige associated with driving a premium vehicle such as a Porsche 911. This iconic vehicle does make a statement about the owner’s style, status and wealth – the more expensive and pleasurable to drive the classic car, the more successful and wealthy the owner is perceived to be. 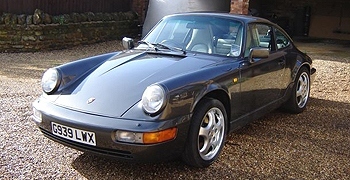 However a premium classic car such as a 911 comes at a premium price – and it’s not just the initial price tag but the ongoing costs such as classic car insurance especially considering the majority of 911s are in the most expensive group (insurance group 20). Most classic car insurance policies operate a no claims bonus scheme. Each classic car insurance company will set out in its policy the scale of no claims bonus that will apply. After a policy has run for 5 or more years claim free, a maximum bonus of 60% to 70% will be allowed. At this stage motor insurance companies will often allow bonus to be protected. This means that you may make as many as 3 claims over an agreed period (usually 2 years) without any loss of no claims bonus. Without this protection, 2 years of no claims discount will be lost for every claim made. It should be remembered that no claims bonus can be lost even if a claim is not your fault, e.g. if the classic car is stolen.